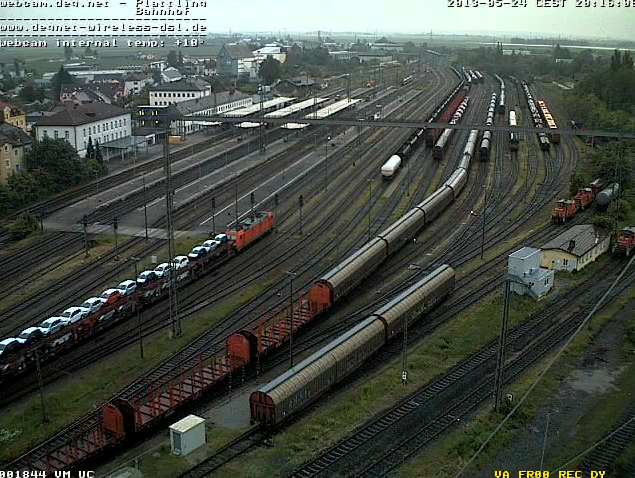 We have previously posted about our favorite railroad web cam, DEG.Net's Bahnhof Plattling camera that covers the whole station area of the busy Bavarian junction, but they have recently updated the webcam software to make it even better. With the new viewer, the video is much smoother and more detailed, and can be viewed full-screen. iPad and iPhone viewers can also now use Apple Airplay to stream the video to an Apple TV or other Airplay device. auto-transport train passes though Bahnhof Plattling. Mierlo-Hout Grade Crossing - live video (2 cameras) with sound from a busy grade crossing in Mierlo-Hout, Netherlands. Please donate to the webcams if you can. In most cases they cost more to operate than they make with donations so any assistance will help keep them online for all to enjoy.